If you have not changed your Yahoo password recently, it is 100% certain that hackers have the keys to it. Not Good. The recent revelation that hackers were able to compromise all of Yahoo's THREE BILLION accounts is mind-blowing. It's time to leave Yahoo Mail in the digital dustbin of history, and move to a new webmail provider. You may be loathe to leave your contacts and emails behind. But don’t worry, you can take them with you! Google's Gmail (my preferred email service for 12+ years) makes the process of importing contacts and mail from Yahoo (and other services) as simple as it can be. That isn’t exactly “dead simple,” but most users should be able to do it in just a few minutes. The first thing you should do is change your Yahoo password to something extremely strong. Also, enable two-factor authentication if you haven’t already done so. With these changes, hackers would need both your password and your phone to get into your Yahoo account. You want to keep control of your Yahoo account, even if you don’t actively use it. The reason is that abandoned account names are recycled by Yahoo. A bad guy could appropriate your old Yahoo handle and impersonate you. So don’t delete your Yahoo account, just lock it up for now. You should also disconnect any external services that are connected to your Yahoo account. To do this, from your Yahoo inbox page, click on the gear icon (upper-right), then on Settings. Click on Accounts to see all of the email accounts, social networks, cloud services, and other services connected to your Yahoo account. Go down the list and disconnect each one. This will eliminate your Yahoo account as a bad guy’s conduit to your other accounts. Need help generating a super-strong password that can't be guessed or cracked by cyber-criminals? Are you having trouble managing or remembering all of your passwords. See my article Here's Why Your Password is Hackable to learn more about good passwords, and some tools to help you keep them straight. Finally, if you have been using your Yahoo password on any other services, change those passwords. And stop re-using passwords -- every account should have its own, unique, and strong password. First, create a Google account if you don’t already have one. You can sign up here. Just like Yahoo’s inbox page, the Gmail inbox page has a gear icon in the upper-right corner. Click on it and then click Settings. Next, click Accounts and Import, then click Import Mail and Contacts. Enter your Yahoo address (include the @yahoo.com part), press Continue, then click Agree to give the app permission to access your Yahoo account. Next, select the import options you want: import contacts, import existing mail, and/or import new Yahoo mail for the next 30 days. Finally, click Start Import. It may take a couple of days for Google to import all of your Yahoo mail, if your Yahoo inbox is very full. Another consideration is that Google only imports the mail that’s in your inbox, not drafts, sent email, or email saved in other folders. To import such items, you will need to manually move them to your Yahoo inbox, then let Google import them. To check the status of your import, look under Settings > Accounts and Import. Google assigns a label to each imported email; it is your Yahoo username. If you want to recreate the folders you had on Yahoo, you can import what’s in your Yahoo inbox, then delete the Yahoo inbox’s contents. Rename the new Gmail label to Yahoo-Inbox. Move the next folder’s contents to the Yahoo inbox and import to Google again. Rename the Gmail label to match the Yahoo folder name, and repeat for each folder. It’s tedious, but it works. Most recent comments on "Time to Switch From Yahoo to Gmail?" Unfortunately some vendors will not let an email switch take place so stuck with yahoo mail. I did change most of my subscriptions over to a more reliable secure platform, but lets face it, nothing is truly 100% safe online anymore. The split of Yahoo from att.net is in process. When I got DSL from att, an e-mail account came with that on att.net. But yahoo gave me a Yahoo avccount as well. I used it little, not seeing the Yahoo service as better than what I was using. I would like to know how quickly I can rid myself of that account, while keeping att.net. My password has already been changed. Per your suggestion, I just now changed the password on my Yahoo account. I had no external services (e.g., Facebook) connected to Yahoo, so that wasn't a problem. I should be safe enough now. Thanks again for the warning. Caution re: Gmail. It has what I consider a flaw a which I had to deal with. Example: If you use your family name and initials, in any order, as part of your email address DO NOT ENTER a period to separate them! Why? Gmail sees no difference for example between jones.rm@gmail.com and jonesrm@gmail.com. That means you and the holder of the similar address except for that period, will get mail destined for each other! I shared this situation initially with a woman in England. She dropped her address (without a period) and just like Yahoo does, Google recycled it and it became another person's problem and I heard from him. I suggested that he should not delete it and stop using it just as I had done. Then no other person has to deal with the same issue. As well I set it up so that mail that arrives at the old Gmail address is auto-deleted and an automatic reply is sent informing the sender that the account is no longer in use. Google is crazy to ignore the period and recycle addresses but but they do! Perhaps the best idea is to put no periods in any email address at all no matter where it is hosted! Sarah, we too have AT&T internet and have never used our att.net account for email as we already had accts from Gmail and AOL in use. However, I'm in the same posistion as you waiting to disconnect my parent's AT&T acct from Yahoo. Though I tried telling my now deceased father he didn't have to use it, he kept insisting AT&T was forcing him to. Sometimes aging is ugly. AT&T is taking their dear, sweet time knowing full well that Yahoo has been severely compromised more than once. I'm going to open a new non AT&T email account for my mom to use as I'm sure their att.net address has been compromised via Yahoo. Don't know why they partnered with them in the first place, Yahoo has always had security problems. I love Gmail except that very long messages get truncated. Even on the PC. That is frustrating. I forgot my yahoo mail password which I've had for years and finally after of trying on their site to get a new one, I called yahoo and got someone in some east desert country.. he said my account has been hacked by two different countries, Russia & USA and wanted remote access to my computer.. I told him he can forget that.. They won't delete my account nor give me a new password.. I would think a new password will eliminate that problem but he wouldn't and hung up.. Now what happens to my account?? And what should I do.. I was just using it for storage and was going to clean it off anyway.. Since I started to receive Bob's news letter I only use what he suggest. so I have used Gmail for years. Thank you Bob for keeping an old guy on the right track. Mike, Not sure if you actually had a Yahoo phone number. I had trouble changing my password with this mess first started and it would take me to ATT but it wouldn't let me change it since my Yahoo account never was linked to ATT. In a chat with ATT they agreed that they couldn't change it and it had to be chaned through Yahoo. I tried to get a phone number for them and never was able to get one. Did you maybe get the phone number online at a phishing website? EDITOR'S NOTE: That phone number was definitely NOT Yahoo. RichF. Just tried to find the same site for yahoo I was on when I found the phone number which is 1-800-782-3911 and I'm thinking you might be right on a phishing site. Called them the second time and the person tried telling me they would charge me $100 for a password and $50 to delete the account and all in my mail which was mostly used for storage. He quickly found out what I thought of that idea.. I have no idea how to get hold of someone who could tell me how to get a new password as their site it totally lame. Thanks for your reply. The hack that compromised all of Yahoo's three billion happened back in 2013, four years ago. Heck, I've changed my Yahoo password several times since then. The current uproar against Yahoo is a wee bit late. Also, keep in mind that Verizon is taking over Yahoo. Gmail is worse than Yahoo. Google is notorious for collecting user data for their own advertising and to sell to others. I'm considering getting my own domain and thumb my nose at all email providers. Mike, I finally got a new password by clicking on the 'forgot my paswsword' button. I didn't want to go that route thinking there would be more of a possibility to run into problems than just changing the password. I got a new password with no problems. Wish I would have done that right away instead of trying to find out how to change it. I play fantasy hockey on Yahoo. Should I get out of that also? "EDITOR'S NOTE: Can you provide any proof that Gmail violates your privacy?" Please first define "privacy", then let the request for 'proof of violation' stew a moment. Now, then >> I searched w/google for 'bamboo boxer briefs'. Few days later, when my mate and I were searching for some other items online, she noticed skimpy womens undies' ads and I noticed she gave me the 'eye'. Few days later, I realized the gravity of that "eye"
EDITOR'S NOTE: That's called remarketing, and it's not unique to the Internet. If you visit a page about widgets, you may in the future see ads for those or other widgets. Here's how it works: Google has a pool of advertisers who sell widgets. If they deduce that you have an interest in widgets, based on your browsing history, they will display one of those ads on a page you visit later. Google is not sharing any information about you with those advertisers. Something similar happens when you shop at the grocery store, and use your loyalty card. If you bought Dannon yogurt last week, your register receipt this week may show a coupon for yogurt. Bob, what about all of your incoming mail? Wouldn't we have to contact all those(like you)who send to us messages often and give them the new gmail account addy one at a time? I realized that we can create filters to send them to the new addy but that really doesn't seem prudent. I have had this address for well over a decade and have my folks emailing me to it everyday. With that being said during this time I have 100s of not thousands of emails in dozens of folders some of which can be left behind but I would save 75% I would need to transfer. To me it seems to be a daunting project. Especially if you many Yaboo accounts that this would have to be done with. After all of the trouble and publicity, Yahoo mail should be about the safest provider one could use. I felt the same way about Target. The ones to worry about are the ones that haven't learned their lesson by being hit. Obviously, copying over contacts and mail is the least of the problems. Updating all the senders is. I have both, but I definitely prefer Yahoo! There was a Yahoo server issue today that impacts access to Yahoo mail through ANY app other than direct web-app to your Yahoo email account. The Internet is filled with thousands of complaints today. I spent hours trying to get access to my account on both my iPhone and my laptop - both of which I use Outlook to manage my various email accounts. - only to find that as usual, this is a Yahoo issue. While I've been a Yahoo email user for at least 15 years and actually PAID for their premium email service - this was the proverbial "straw in the camel's back" that has finally put me over the edge. 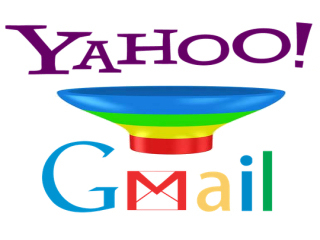 While getting rid of Yahoo as your primary email address isn't the easiest process from a convenience perspective, I am dumping Yahoo as my primary email provider, and using Google's gmail service. Between the Yahoo app being a "less secure" email app that doesn't work well anymore with Outlook, the 3 billion compromised Yahoo accounts (per Verizon - their new owners), and service disruptions like today - it's just time to switch.